Vehicular chaos and sporting mayhem abound in these insanely addictive games! At the time of this writing, Rocket League has made a whopping $40 million (not including sales on PSN) and has been played by more than 14 million people worldwide. Not too shabby for a simple game about “soccer, with rocket-powered cars”. Indeed, games like Rocket League are testament to how massive success can be built from basic (and addictive!) premises. Rocket League’s biggest appeal lies in the fact that it is fun, easy to play, yet challenging to master. The controls are straightforward and immediately accessible. Yet, long hours of practice are required to hand-break your rocket car with honed precision, timing your boosted leap perfectly to nudge the wildly bouncing ball into the back of the opposing team’s net. Each game must be easy to pick up, difficult to master (i.e. basic controls + strategic learning curve). Must include a fun multiplayer mode (local AND / OR online). Features over-the-top vehicular action AND / OR be heavily sports themed with a zany twist. Preferably both. Includes basic but not overly complex power-ups (e.g. simple boosts, like in Rocket League, or charged shots, slides, etc.). Nothing too imbalanced. Optional: aesthetic customization for characters. Note: Not all the games on this list are exact analogues to Psyonix’s runaway hit (i.e. if they were, then Rocket League wouldn’t be as unique as it is). Still, all of them share similarly addictive gameplay qualities that’ll pique the interest of most Rocket Leaguers. All videos / images are copyrighted to their original owners. 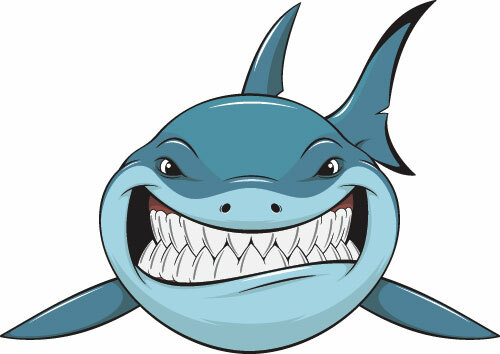 This post contains iTunes, G2A, and Amazon affiliate links. Before Rocket League there was Supersonic Acrobatic Rocket-Powered Battle-Cars – in short, SARPBC. Developed by the same peeps who made Rocket League (Psyonix), SARPBC core gameplay is basically the same as their updated smash hit. You twist, flip, and boost a rocket-powered car and try to score goals against your opponents. Like Rocket League, SARPBC has very simple controls which, in actuality, require a good amount of time to master. However, there are some notable differences between the two games. For better or worse, SARPBC’s stages are filled with ramps, multi-levels, and other layout varieties that add a huge level of gravitational dynamism to the standard gameplay. Slightly less-tweaked physics also mean certain matches are more catered to skillful 1v1 gameplay, although team-based games are not uncommon. Thankfully, you’ll still be able to find quite a few SARPBC players lingering about the old servers. A true spiritual predecessor, SARPBC is definitely worth checking out for those looking into trying other similar games like Rocket League. Read more honest player reviews of Supersonic Acrobatic Rocket-Powered Battle-Cars. 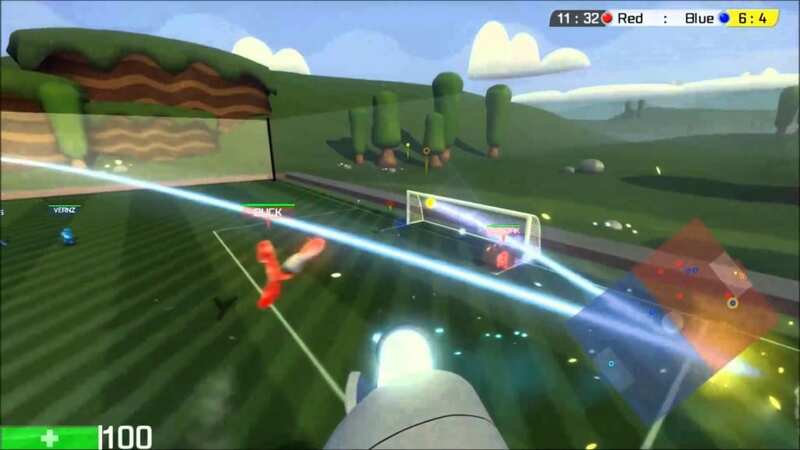 Supraball shares many similarities with Rocket League. Like Rocket League, Supraball has dead simple mechanics with tons of practice required to reach expert status. The game also centers around a fast-paced, over-the-top, team-vs-team soccer premise. Like Rocket League, you’ll be doing plenty of ball shooting, defending, hyper-jumps, wild mid-air saves, and other zany moves. Supraball does vary from Rocket League in some respects. 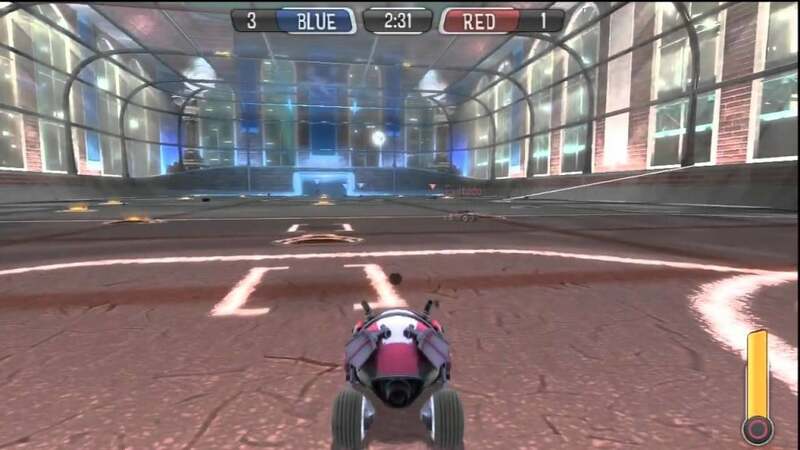 Unlike Rocket League, the game is played from a first-person perspective, priding itself as an FPSG (first-person sports game). There are also clearer distinctions between individual player roles (e.g. keepers jump higher, run faster, etc.). Ball control is more nuanced thanks to assigned keys for spins, instant-shots, and so on. These features add a good amount of strategic (but still accessible) depth to each thrilling match. Overall, Supraball is bound to appease players keen for more measured-chaos soccer-themed games like Rocket League. Read more honest player reviews of Supraball. 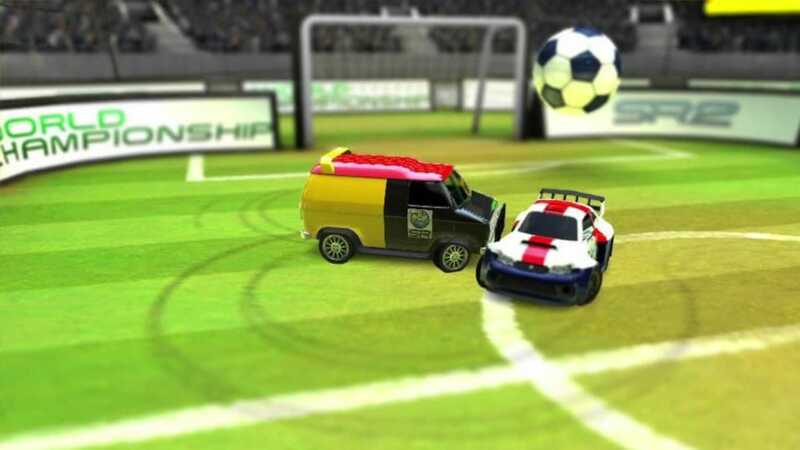 Soccer Rally 2: World Championship is like a stripped-down, rough-around-the-edges version of Rocket League for Smart Phones. There aren’t any wild aerial flips or large teams to be found here (i.e. games are limited to local 1v1). However, like Rocket League, you’ll be nudging and knocking a soccer ball around with boosted cars as you try to score goals against your opponent. Again, the controls are basic yet do require some skillful repetition to truly get the hang of. Soccer Rally 2 also features nine default vehicles with customizable appearances and unique characteristics. The AI for single-player is competent as well, providing some decent competition. That being said, Soccer Rally 2 isn’t a very polished product. Vehicles move in a slightly clunky fashion and the graphics are decent, at best. So, don’t expect the game to ever replace your love for Rocket League. Nonetheless, this fun mobile app is a perfect train ride fix for those looking for play-as-you-go car / soccer hybrid games like Rocket League. Plus, it’s free, and has overall positive reviews! Read more honest player reviews of Soccer Rally 2: World Championship. 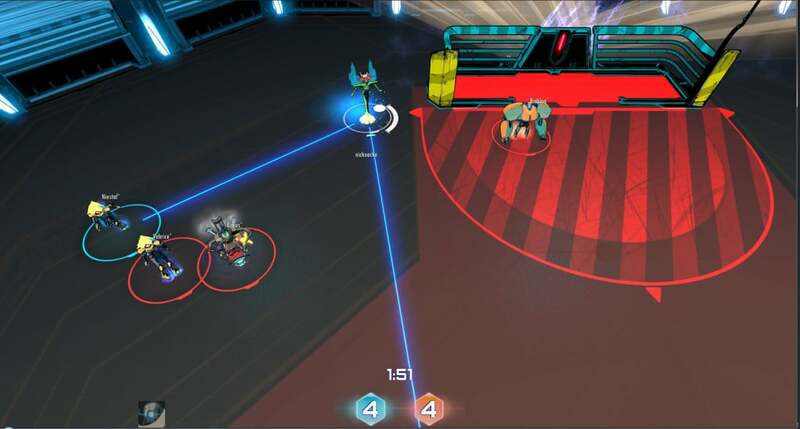 Similar to Rocket League, Arena: Cyber Evolution is a physics-based arena sports-themed game that lets players partake in intense team-vs-team online battles. It basically combines futuristic robots with air hockey to great effect. There aren’t any wild aerial interceptions, though there’s tons of passing, shooting, defending, and catching rebounds as you try to score epic goals. Also like Rocket League, controls in ACE are basic yet requires time to truly grasp its full strategic potential. However, unlike Rocket League, Arena: Cyber Evolution has a heavy emphasis on character-augmenting power-ups, called Implants. There are three main kinds of Implants. Team Implants give a bonus to your entire team, Personal Implants enhance your character, and Genetic Mods stack up on top of the first two. The game also uses directional aiming, making shooting more precise (for better or worse). ACE is currently still in Early Access – though the development team has been relatively (but not entirely) active in incorporating new fan-requested features. A good title to look into if you’re keen for more games like Rocket League with a bit of a twist. Read more honest player reviews of ACE – Arena: Cyber Evolution. 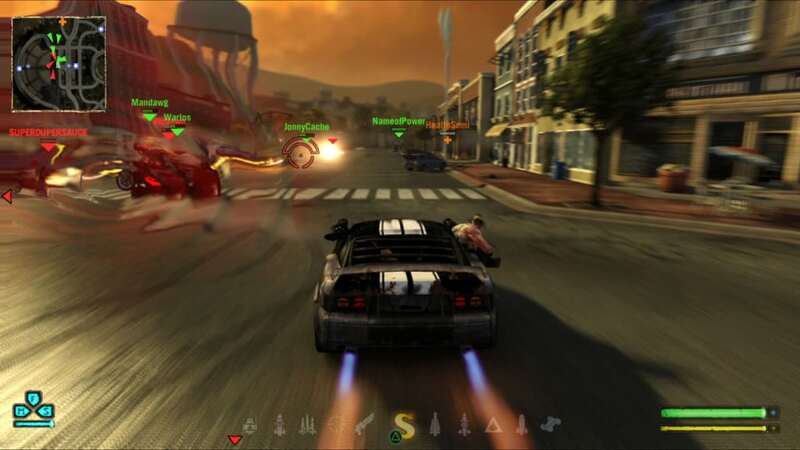 Twisted Metal is all about hyper-fast, over-the-top, competitive city arena vehicular battles with a heavy emphasis on multiplayer carnage. The game is well-balanced with a hefty assortment of crazy power-ups, weapons (e.g. flaming clown heads? coffin bombs?! ), and ability upgrades. There’s also a good variety of psycho-driven vehicles catered to suit individual player styles. Like Rocket League, controls are easy to pick up, though practice is needed if you’re gonna slide, leap, and blast your way to your first murderous kill streak. Of course, unlike Rocket League, Twisted Metal is no soccer game. There are no goals to be scored. Still, anyone looking for insanely addictive team-vs-team vehicular games like Rocket League will find Twisted Metal’s Team Deathmatch mode to be an absolute blast. The game may be on the older side, but this king of chaotic wheel-bound warfare is still guaranteed to satisfy. Fun Fact: The ice cream truck driven by Twisted Metal’s iconic lead, Sweet Tooth, is actually a bonus vehicle in Rocket League’s roster! Such a happy affinity. Read more honest player reviews of Twisted Metal. Metroid Prime: Blast Ball for 3DS is a good one, too. Thanks for the suggestion! We’ll look into this and add it to the list. Have you tried any of the games currently on the list?